This will for sure be a very good game in this WNBA. Indiana fever is not having an easy season, with 2 losts in the first 3 games, but they are being one of the best offenses in the eastern conference. In the other side L A Sparks are currently with 2 wins in the first 2 games, and I believe that they are one of the best teams in the competition. I believe that this will be a fun and fast game with this total line being covered and so I believe thatthis is a very good bet. good luck. New York Liberty - Los Angeles Sparks in the WNBA, USA. New York Liberty is the home team and they welcome Los Angeles to this encounter. This game is delicately poised with the home team not enjoying the favourite tag. They however will like to give a good account of themselves as they seek to upsets their favoured guest. Los Angeles Sparks is the favourite by some distance to go one more and win it here. Both will launch an offensive approach as they try to outscore each other to win and claim maximum points. I sense both teams combined score will exceed this market. 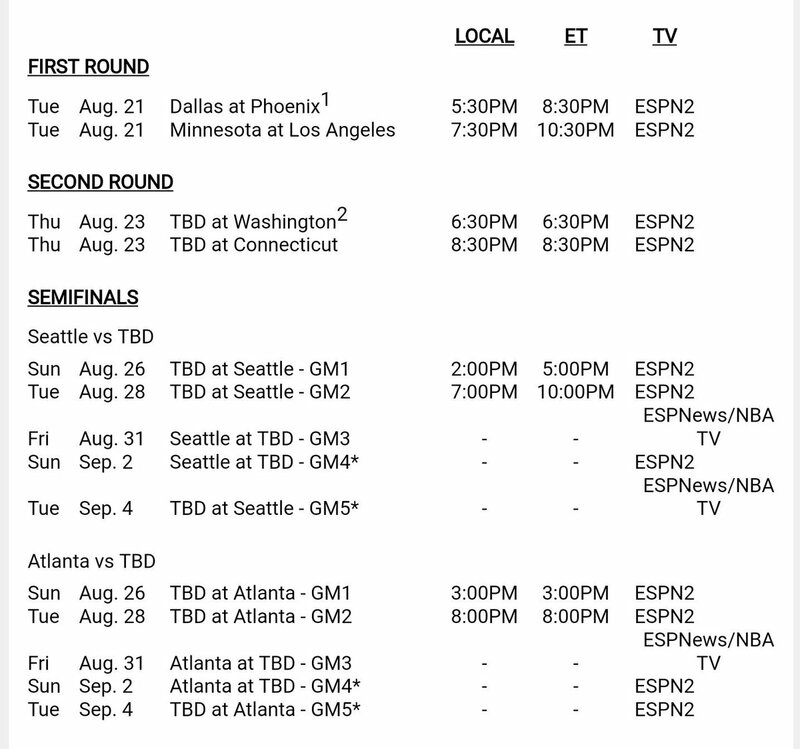 Tonight starts WNBA playoffs. The previous champs Minnesota Lynx will try to defend their title and it could be very different after seeing the potential of the other teams. 75-66 Los Angeles Sparks Won. WNBA is back for tonight. Phoenix Mercury and Los Amgeles Sparks won the previous games and headed towards forwards. Very very tough game and I don't have any stronger suggestions or predictions for this game. Total points looks too big but the same was in the first Mercury playoff game and they scored 180+ total. Risky match and I skipping it from betting perspective. If anything will change in my mind I will write here. I'm happy that I skipped this match. The game finished 86-96 with Phoenix Mercury win. I was close to taking the Connecticut Suns win and also I was interesting in under but thanks god. No clear winner for me, looks like coin flip. But I'm very confident that this match will be very closed and with a lot of emotions. Those kind matches have tendency to be with low scoring game and for me these teams also looks good taking under especially that high IMO 163. Atlanta Dream didn't played playoff game yet and before the PO starts they had few games with a high scoring but those games basically was about nothing just the preparation for the next stage. They scored 170+ points with overish team like Dallas Wings, Phoenix Mercury, Las Vegas Aces and so on. But for example last 2 meetings with Washington Mystics finished with 157/157 games, with slow Los Angeles Sparks 152. Thanks god tonight I skipped Seattle Storm handicap. Same exactly same result and the same scenario. Storm lost 4th quarter by 14 points and went into OT. Still hoping to get good odds for them in the Phoenix. Have no big opinion about it. Total are lower by 4 points and I don't see clear winner also. Odds should be even. For me Seattle Storm in WNBA is like Warriors in NBA. They always playing fast basketball with a lot of passes and team plays. Both series matches they had solid lead after the 3rd quarter but in both matches the last 4th quarter was disaster. I don't think that these 4th quarter had something to do with Mercury and IMO Seattle Storm players just have problems to keep up with the lead. They should change something, maybe some of the players should be changed of the 4th quarter beginning. But anyways besides these quarters Seattle Storm was surely better team and I don't think so that in tonight's match Mercury will had advantage with their home crowd. If they are able to compete with Seattle Storm? Yes. If they are able to comeback from 2-0 in the series? No. 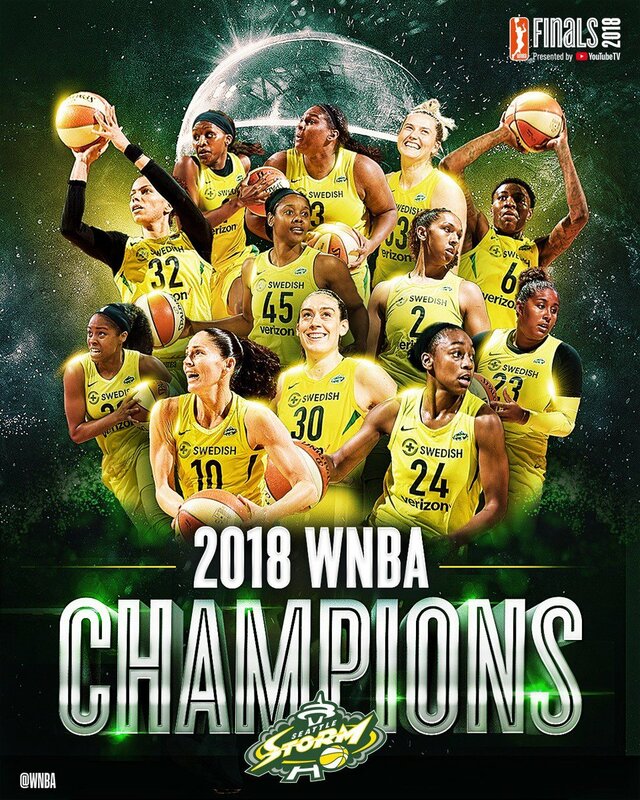 The WNBA final ended and the new WNBA champions is Seattle Storm club. Trully deserved and entering in to the playoffs they was clear favorite for me to win the championship. If they keep this team rosters or get additional good player they probably again will be contender to win. I said two times what I think about them but I will repeat that again. Seattle Storm for me personally is the NBA Warriors. I skipped all the finals because I didn't saw any value on either game. Wanted to bet on the overs but the last Storm series with Mercury just killed me with 2 games. Seems like I saved my money to the pocket. Now as WNBA finished we can concentrate on the European basketball and of course NBA. Good luck guys on the upcoming men's basketball season! What would be the purpose of another basketball league? They have the world by the ballsx.